Shakers One and Two, though obviously big martini fans, both very much enjoy a glass of something bubbly. Champagne, cava, prosecco……..on their own or with a bit of something added (a splash of St. Germain for example) are all wonderful treats- especially in the summertime. When there’s a crowd around (and by “crowd” I mean the two Shakers) there’s no trouble finishing up a bottle of the sparkly stuff. But what if you are on your own and not excessively thirsty? Should you forgo the fizz? Absolutely not! 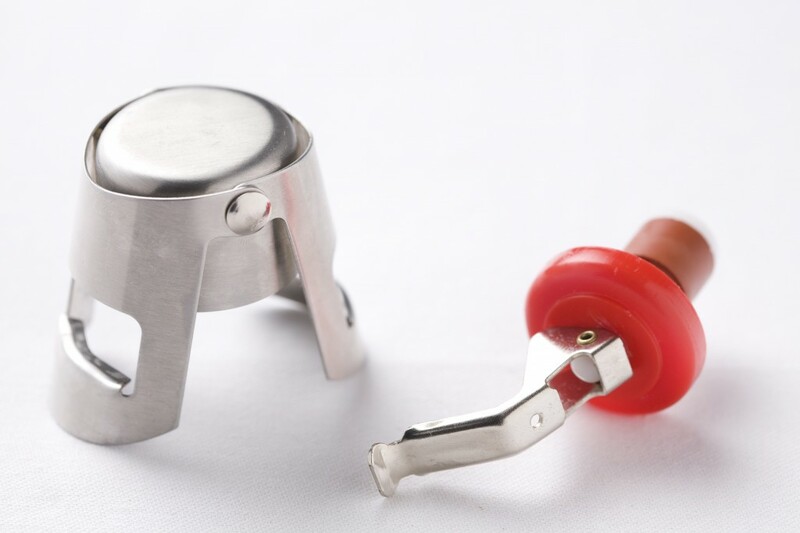 Simply get yourself one of these champagne bottle stoppers. With one of these little gadgets you can keep an opened bottle of bubbly in your fridge for a few days without losing the effervescence that makes it special. Then just pull it out whenever you want a glass of celebration. The plastic stopper is adequate, but Shaker One prefers the stainless steel model. Either way, don’t let mere moderate thirst levels keep you from opening up a bottle of bubbly. Certainly you can find something to celebrate?